The hot weather in Dubai gives way for pest invasion in homes from time to time. The best way to control pests is not to invite them. With preventative measures, you can keep pests away from home. Prevention is the key. Some of the common pests found in Dubai are dust mites, bed bugs, cockroaches, ants, rodents, spiders. Simple practices like keeping your kitchen clean, removing the daily garbage, storing drinks and food in air tight containers and sealing holes or any other cracks or openings will deter pests to invade your home. Wipe your kitchen surfaces and countertops with vinegar and water 1:1 to remove bad odors and smells. Insects are attracted to leaky taps and faucets. Fix the leaks as insects need water to thrive. Keep food items and snacks in air tight containers or sealed jars. Always use a trash bin with a lid. Rinse your used sauce bottles, juice cans or tins before putting them away in a dust bin. Keep your kitchen drains clean and free of odor. Clear the leftover food particles from the drains. Mix half cup vinegar to half cup baking soda and pour it down the drain. After five minutes, wash the drain with hot boiling water by pouring it down to clear all debris. Your entry ways and windows should have bug screens. Clear the clutter in your house by weekly vacuuming, removing clothing from floor and newspapers from cupboards as cockroaches hide in dark places. You can also prevent spiders and silverfish from making entry. These pests can eat a lot of wood, wall paper, plastics , fabrics made from plant and cause extensive damage to your house. Do not let water pool around your house foundation, make sure water drains away from your house and do not keep damp wood at home. Seal all crevices and cracks outside your house. Dry wood termites can cause major damage to wooden support beams of your house. They are usually found in kitchens, bathrooms and food storage areas. They also infest electrical appliances and furniture. It is important to keep your kitchen and bathroom clean to prevent their entry. Vacuum these areas and use soap solution to drive them away. Keep bay leaves, cucumber slices in infested places as they act as deterrents. You can also sprinkle diatomaceous earth in affected areas of kitchen cabinets, appliances. Rodents and bed bugs are a challenge to all households. They can be eliminated using effective pest control services in Dubai as it requires joint efforts by the client and pest management team. It is vital to remove standing water sources to keep mosquitoes away. You can use 2 ½ tsp of citronella or lemon eucalyptus oil or lemon grass oil or geranium to I cup water or grain alcohol to keep mosquitoes away. Use herbal sachets of crushed mint, bay leaf, clove or eucalyptus to drive away flies. You can also apply eucalyptus oil to a cloth or a rag and tie it in a place infested with flies. The strong smell repels them away. You can tackle pests at your home through services offered by some best home maintenance companies in Dubai. 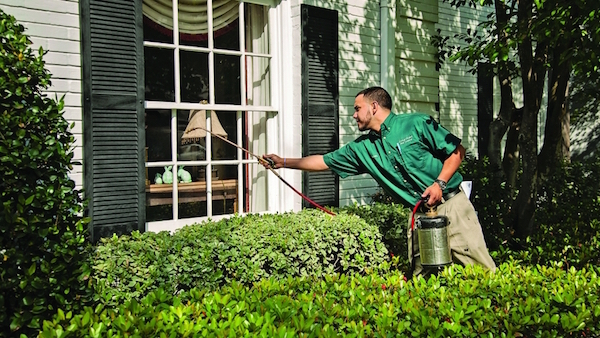 These companies provide all types of pest control with their trained and experienced staff. They use eco friendly pesticides to treat pest infestations. Keep our home free of pests through professional services if you are unable to control them with simple preventive measures. Bismil is a digital marketing professional and blogger who love to spend a time as useful on internet by writing blogs. This article has a great tips for pest control in home and find good pest control companies in UAE.